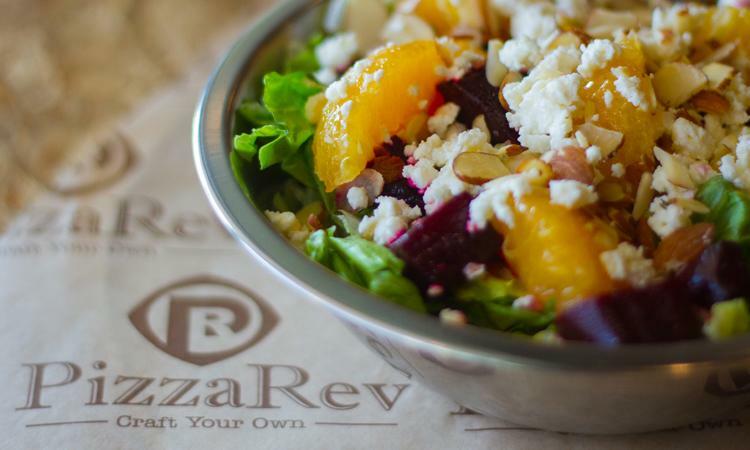 PizzaRev (or the “Company”) is a Los Angeles-based fast casual pizza chain that is reinventing the way America eats its favorite food. 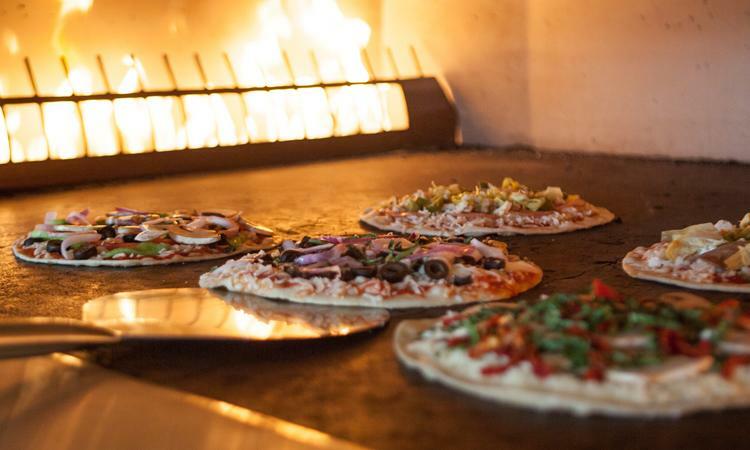 The Company delivers a truly interactive dining experience where customers craft their own pizzas, choosing from a wide variety of premium-quality ingredients, in any amount, for one price. PizzaRev fires its pizzas in a stone-hearth oven, which produces a delicious, crispy Roman-style thin pizza in less than 3 minutes. 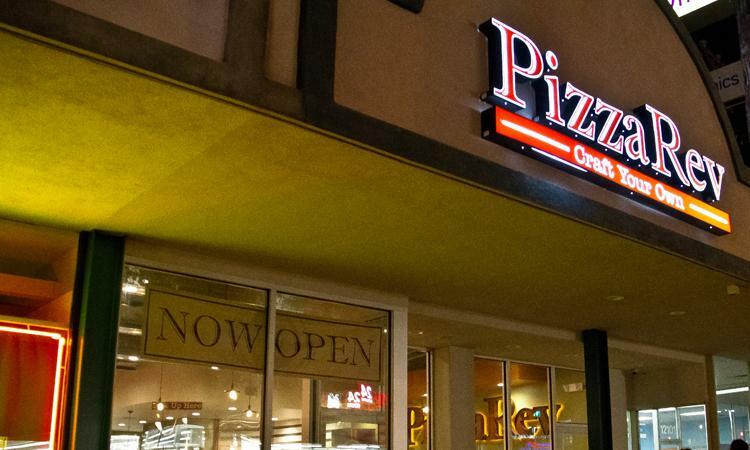 After significant concept development in 2011, PizzaRev opened its first store in Northridge, CA in April of 2012. 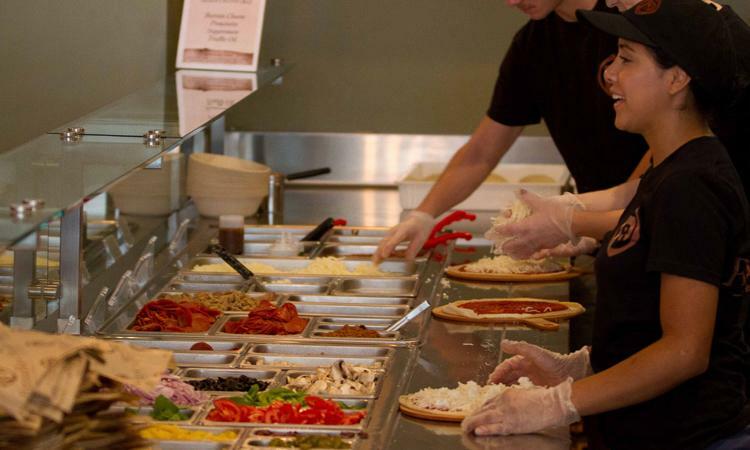 The Company quickly emerged as a market leader in the fast casual pizza segment, growing from one store selling less than 150 pizzas per day in May 2012 to its three current locations selling more than 35,000 pizzas per month. PizzaRev is currently opening its 4th and 5th Los Angeles area locations and continues to garner broad industry recognition and a rapidly growing base of customers and fans. 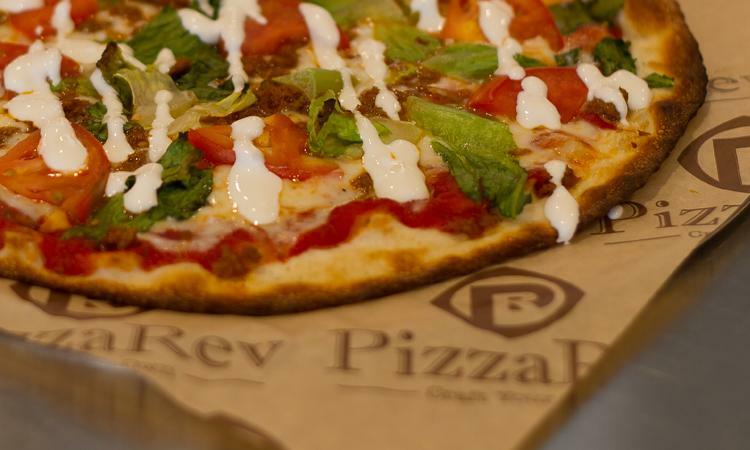 Shortly after entering the marketplace in early 2012, it became readily apparent that PizzaRev possessed the right combination of operational and concept-level characteristics to be successful in the highly competitive fast casual dining segment. With the understanding that successful early movers can gain a meaningful advantage on the market by accelerating into a legitimate growth opportunity, PizzaRev’s founders made the appropriate corporate finance decision to fully capitalize the business for the next several years in order to execute on a tactical, but aggressive roll-out plan. Given the early stage of the Company, it was essential to develop and convey a thoughtful and highly analytical growth plan for the investor community, and complement those heavy analytics with powerful and visible detail related to the true competitive differentiators of the business. The process approach recommended by GulfStar, which included early site visits and significant consumer surveys and usage studies, enabled the Company to quickly develop competitive transaction interest from multiple parties that would typically have passed based solely on “stage” screening. Given the positive strategic backdrop in the current restaurant market, GulfStar recommended a targeted process that included consumer-oriented private equity firms that are focused on providing growth capital to promising earlier stage businesses, as well as a select group of strategic (corporate) partners that could benefit from close affiliation with a high-growth concept such as PizzaRev. As process discussions matured with several parties, it became obvious that there was a tremendous amount of intellectual and strategic alignment between the PizzaRev management team and the Buffalo Wild Wings management team, resulting in a swift selection process and a short closing timetable that enabled both parties to focus on critical operational milestones/events in the 1st quarter. 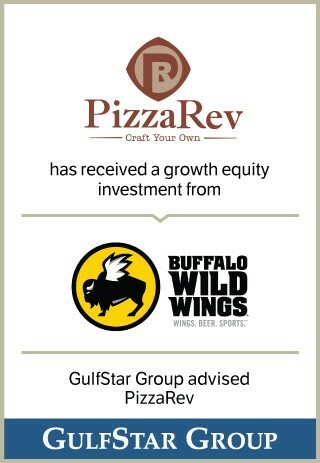 Beyond utilizing its vast network of industry relationships to deliver the right investment partner, GulfStar assisted management in the architecture and negotiation of key transaction terms that appropriately reflected the spirit of partnership between PizzaRev and Buffalo Wild Wings, and clearly provided PizzaRev’s owners with the requisite balance sheet and operational flexibility to efficiently and effectively execute on their rapid growth strategy. The GulfStar transaction team included Managing Director Scott Winship, Senior Vice President Brian Lobo and Analyst Kristie Ganss. “It was a distinct pleasure working with Rodney, Irv and the talented PizzaRev team on this important transaction. Collectively, they define consummate professionalism, and we look forward to watching the Company’s growth continue to accelerate, under their terrific guidance,” said Winship.